Bored with regular Jesus? 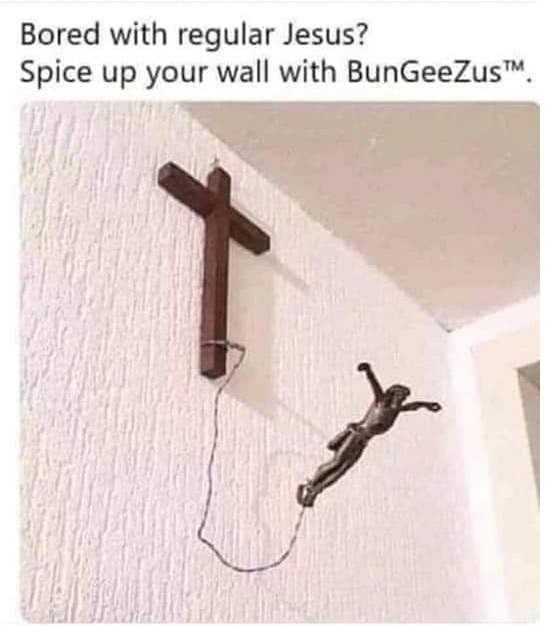 Spice up your wall with BunGeeZus. He jumped for your sins.